When Seamus and his scaredy-ba Granda go for a night-time walk, they don’t expect to find a group of ghosts lurking in an old barn! Greg the Ghoul, Phantom Pete and their spectral friends are too scared to go up into heaven in case they’re sent back down to hell, so they’ve spent years waiting around in the barn, getting bored. 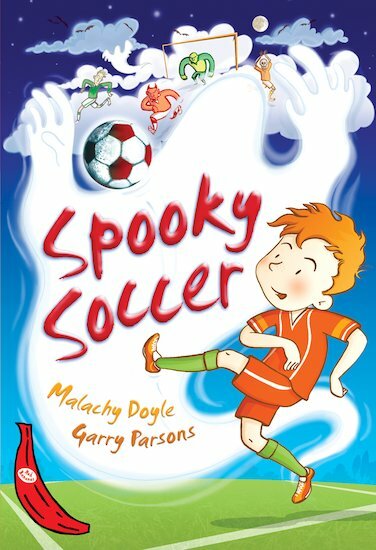 Seamus has a great idea to relieve their boredom – they could form a football team and play some other ghosts! The ghosts are nervous, but Seamus and his Granda encourage them to get fit and improve their game. Soon they are champion players, powering their way through opposing teams from Earth, heaven and even hell!